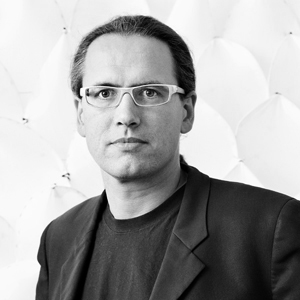 Martin Tamke is Associate Professor at the Centre for Information Technology and Architecture (CITA) in Copenhagen. He is pursuing a design led research in the interface and implications of computational design and its materialization. He joined the newly founded research centre CITA in 2006 and shaped its design based research practice. Projects on new design and fabrication for wood and fibre based materials led to a series of research projects and digitally fabricated demonstrators that explore an architectural practice engaged with bespoke materials and behaviour. Martin initiated and conducted research projects in the emerging field of digital production in building industry and architectural computation. The research connects academic and industrial partners from architecture and engineering, computer and material science and the crafts. Currently he is involved in the EU framework 7 project DURAARK, the Danish funded 4 year Complex Modelling research project and the adapt-r and InnoChain PhD research networks.